A monthly Welsh language religious and general periodical for women. The periodical's main contents were religious articles, articles on the family and keeping a home, alongside biographies of prominent women, poetry and music. The periodical was edited by the schoolmistress and poet, Sarah Jane Rees (Cranogwen, 1839-1916). 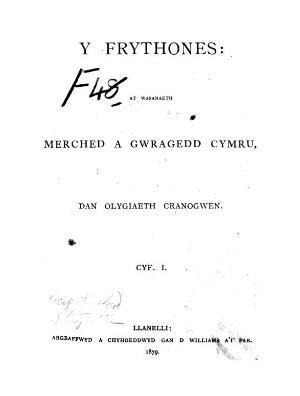 Associated titles: Cyfaill yr Aelwyd a'r Frythones (1892).